When James first saw Natasha they didn’t get a chance to speak, but thanks to mutual friends the pair were introduced and as they say, the rest is history. “The proposal was extremely dramatic and there was a lot of effort involved,” Natasha said. James had organised a surprise engagement party but led the couple’s friends and family to believe it was a surprise birthday party for Natasha on a boat in Cockle Bay, Sydney. Standing with her eyes closed on the wharf, Natasha turned around to see James down on one knee. Her first response was “what are you doing”, to which James simply replied, “I love you and I want you to be my forever, will you marry me?”. Then came the final surprise for Natasha as she turned around to see all their family and friends who had watched James propose to the woman of the dreams. 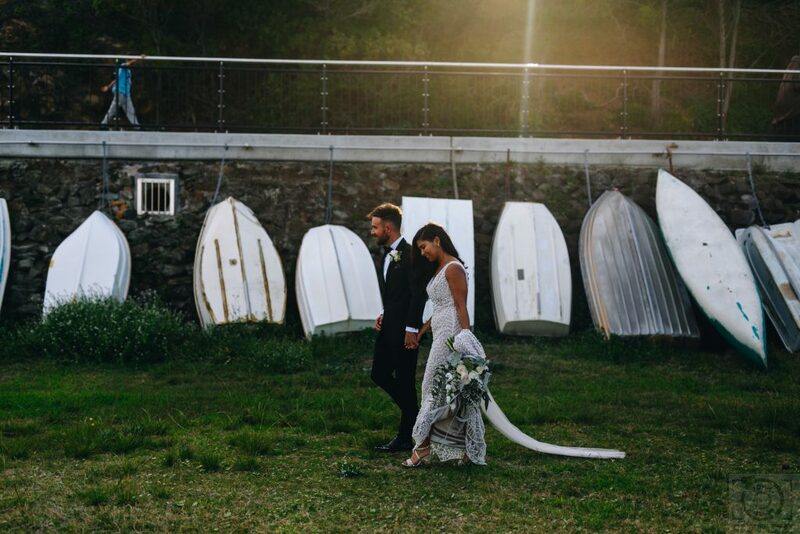 “It was the most beautiful night and the most extravagant surprise, one I did not expect,” Natasha said. On their big day, Natasha and James wanted a nice flow from ceremony to canapés to formal reception. 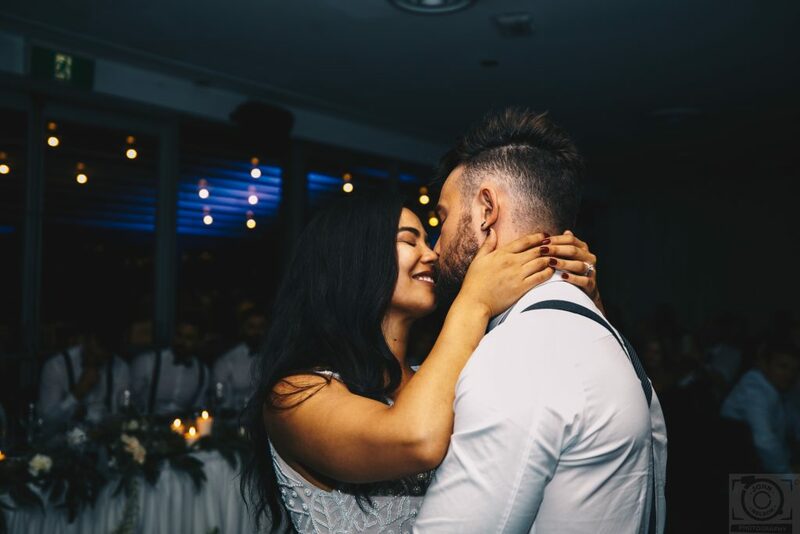 Minimising travel for guests between events was of high importance, and along with the value for money, is what made the couple decide on Lagoon Restaurant in Wollongong for their wedding day. Just like the proposal, the couple wanted their ceremony to be intimate, personal, and to involve their friends and family. The couple even asked a close friend and Natasha’s boss, Garry Copland, to officiate the wedding. 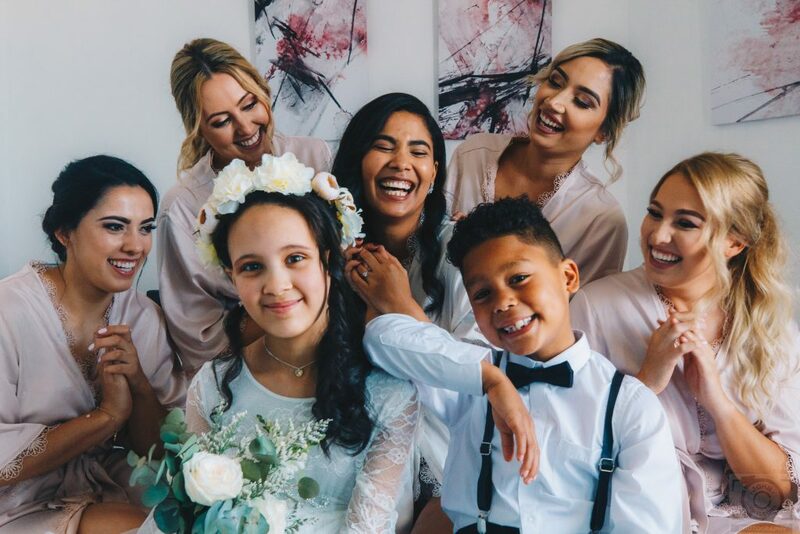 With her brothers and father by her side, Natasha walked down the aisle in a fully beaded demi-style gown to an instrumental version of ‘Perfect’ by Ed Sheeran. 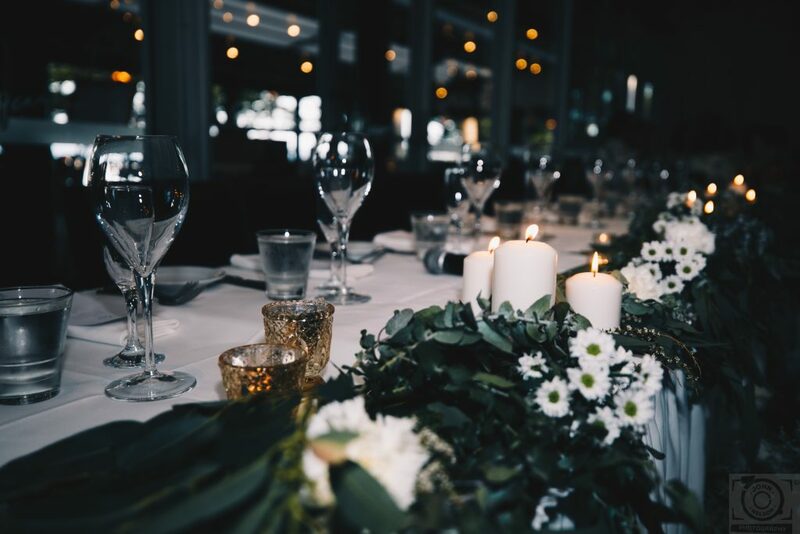 The vision for the reception was minimal colours, with dramatic flowers and foliage. The statement pieces were to be bold but not overpowering, while colours to be a neutral allowing the statement pieces to add drama. Veal Prime Rib and Berkshire Pork Belly Three Ways were served as mains and “the serving size was fantastic, and everyone was so full and happy with the food”. “All we wanted was to make sure the food and alcohol were of good quality, and that everyone had a great time, and I think we definitely achieved that,” Natasha said. The dance floor was never empty and at the end of the night, everyone was on a high and not ready for it to be over.